"Catch" every bug that you're exposed too? Our bodies are bombarded by germs every day no matter what. For example... You're sitting at a restaurant and someone coughs your way from the table next to you. Or... do you ever wonder how many germs you and your family are exposed too while just shopping? Do you need to separate your family from your friends and other family members... let alone from many of your routine errands? We shouldn't be afraid to live life! Unfortunately, life doesn't stop if you are a little "under the weather." Kids still need meals prepared. The house doesn't clean itself. Many times we get sick during the most stressful times in our lives. And usually those times are when we are needed the most. Just like the individual instruments and musicians in an orchestra come together to create beautiful music, your immune system coordinates the health benefits of a variety of foods and herbs. For example, some foods may boost white blood cell function by stimulating the white blood cells to increase in number. Others may increase the activity of the white blood cells in your body. Still others work by boosting your immune system with the number of antibodies your body makes when exposed to a bacteria. What if you had all three of these immune system functions covered? Wouldn’t that really give your immune system a boost? 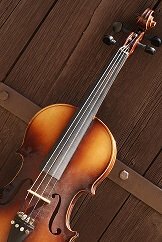 Thus, the way to truly boost your immune system is to make sure that all the “musicians” of your immune system have everything they need to perform. 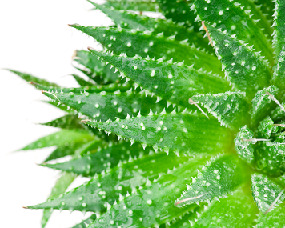 Why not try boosting your immune system with natural remedies to stay healthy and vibrant? Viruses and bacteria change and mutate to overcome our bodies' natural defenses and the heavy use of antibiotics. Boosting your immune system with smoothies may just be the key to vibrant health. But when your immune system is fueled properly... it can overcome many of those attacks. It is that simple! Take good care of your immune system, and you'll find it automatically doing the work for you! By including three or four of the immune system boosters in your smoothies with the primary ingredients, you can start providing your family with natural defenses against colds and the flu. "DaNae Johnson is passionate about using a variety of foods as weapons to fuel a healthy immune system that can combat disease. She gives us many ways to boosting your immune system with items from our own kitchen cupboards. She has a great variety of smoothie recipes to try. Everything from fruit flavors to coffee alternatives that will dramatically improve your health and well-being. Smoothies are an easy way to improve your health." As a Master Herbalist, I realize just how easy it is to add different supplements and herbs to smoothies. I can even get my kids to drink things that they wouldn't eat normally. So, I compiled all of my best immune boosting tips, 45 smoothie recipes, and research on 11 supplements and herbs in a convenient ebook. I put a lot of research into this book. As there are 75 different references to studies and resources for you to learn even more! Smoothie Handbook on Immune Boosters is totally risk-free to try. You have nothing to lose, but so much knowledge to gain. You can be blending your first immune boosting smoothie within a few minutes. 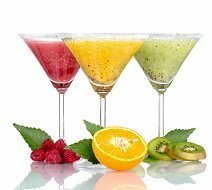 You will get instant access to Smoothie Handbook on Immune Boosters in under 10 minutes through a safe and secure transaction. Right after your order is approved (usually in seconds), you will be able to download it immediately. It's that easy! You don't have to wait for days or even weeks until the mailman brings your package. The book is a PDF file that you can read immediately on your computer. Or you can print a hard copy and read it anywhere… even in bed. I would highly recommend the Smoothie Handbook for Immune-Boosters for every kitchen. It is an excellent resource for healthy vibrant life. I love having natural alternatives for fighting disease and illnesses that we are all subject too. 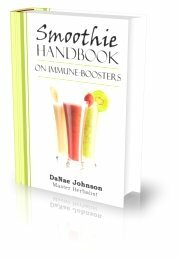 DaNae Johnson has used her skill and expertise to compile an easy to read and understand “cookbook” of recipes and valuable information on nutritional immune boosting ingredients. Can't Forget about the Free Bonuses! And that's not all... you'll also get a chart explaining exactly how I formulate my own nutrient-dense smoothie recipes. You can print it out and place it in your kitchen for your convenience. But the best is yet to come... I just published my first book Smoothie Handbook for Health this summer. You may already own a copy. I will personally mail a signed copy of my first book to the first 10 people who purchase the Smoothie Handbook on Immune Boosters! Free shipping no matter where you live! Already own a copy? Jump on this deal and give the extra book to a friend or family member. You only have your immune system to boost and absolutely nothing to lose! I can't wait to hear how immune boosting smoothies benefit you. You will need Adobe Acrobat Reader to view your PDF file. If you don't have this installed on your computer, you can download it for free from the Adobe website.